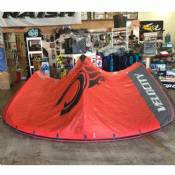 The Velocity is our most efficient performance freeride/ race kite. The Velocity's ultra high performance comes from a combination of its high aspect outline, flatter arc, and high performance profiles. Cabrinha adjustable pigtails for a 4-line kite. These pigtails attach to the end of your fly lines to connect to your kite. 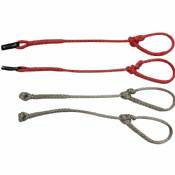 The pigtails can be adjusted by moving the knot on the pigtail to adjust the size of the loop. Always be sure to check you pigtails for wear and tear. 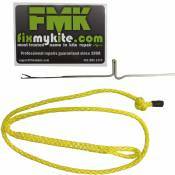 The FixMyKite.com Cabrinha Airlock 2 Screw-CAP ONLY is the top screw portion with Cap for the new inflate/deflate screw valve Cabrinha now used on their kites (2014 and newer). This product does NOT include the base or Stick-on patch. 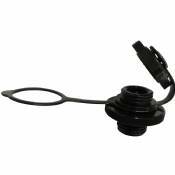 This WILL NOT WORK in the old Airlock valve base (Cabrinha Airlock with old-style cap, pre-2014). Also works on cloud kites by board riding maui. 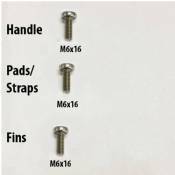 Choose which Cabrinha Kiteboarding Board Screws you need. 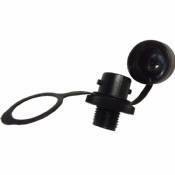 Great replacement if you ever lost a screw on the water or during travel. Choice of handle, pads/straps, and fin screws for Cabrinha kiteboards from 2014 to the current model year. 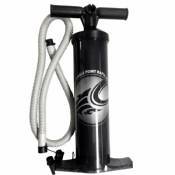 Cabrinha Sprint high Capacity Kite pump made by Bravo. Double action, pumps both directions. Inflate and Deflate connections. Complete with hose, leash, and multiple adapters.